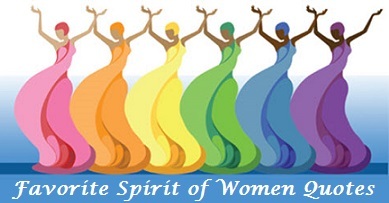 I wanted to share the following quotes, honoring the spirit of women, as we wrap up 2014. Yours is the energy that makes your world. There are no limitations to the self except those you believe in. You are as amazing as you let yourself be. Let me repeat that. You are as amazing as you let yourself be. You are wonderful. Valuable. Worthwhile. Lovable. Not because others think so. Self worth comes from only one place: self.